Articles from MU print collections scanned and delivered to your email at no charge! Request articles as usual via FindIt@MU “Request a Copy” and interlibrary loan (ILL@MU). Books checked out may be recalled. The Library reserves the right to recall all books after two weeks of use if requested by another MU borrower. Materials needed for reserve may be recalled at any time. Students, staff, faculty, and courtesy borrowers are charged fines for overdue recalled books at the rate of $2.00 per day. To avoid fines, please return recalled items by the new due date on the e-mail notice that is sent to you. Patrons may renew books online at http://merlin.lib.umsystem.edu/patroninfo. If the items are not returned within 15 days of the overdue notice, a bill for replacement will be issued by the University. MU Libraries will be unable to reduce or waive fines after this point. The Libraries' item replacement bill is $175 for books. Patrons have the option of purchasing a replacement copy independent of the library to reduce the cost. Please consult with Ellis Library Circulation at (573)882-3362 or the library listed on your fine notice, prior to purchasing a replacement copy. Replacement must be the same or a newer edition. Hardcover is preferred. Replacement is subject to evaluation by appropriate library personnel. Replacement must be in prime condition to be added to our library collection. 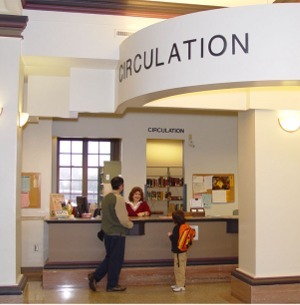 Please direct inquiries to the Ellis Circulation Desk (573)882-3362 or the branch library phone number listed on your fine notice.